I haven’t done a nail marble in a while and when my good girl friend Isabelle came over to watch movies and have some nail fun. She wanted to play with the Zoya jelly polishes and make “jelly sandwich” nails and I felt like marbling because it had been ages since I had. I started with a white base on all my nails. I used “Paper Mache” by Fingerpaints. 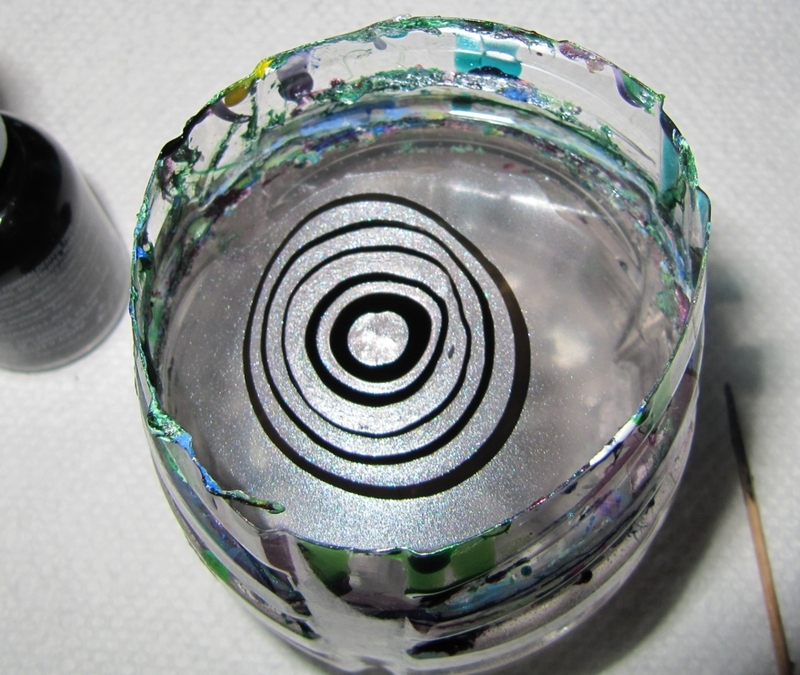 It required 2-3 coats for completely opaque coverage. I wanted do use neutral colours and nothing too bright. So I actually opted for a black and silver. I used “Liquid Vinyl” by Orly as my black nail lacquer and “Platinum” from Mary Kay as my silver nail lacquer. Using scotch tape you want to tape around your nails, exposing just the white and covering the skin about one-third of the way down your finger. 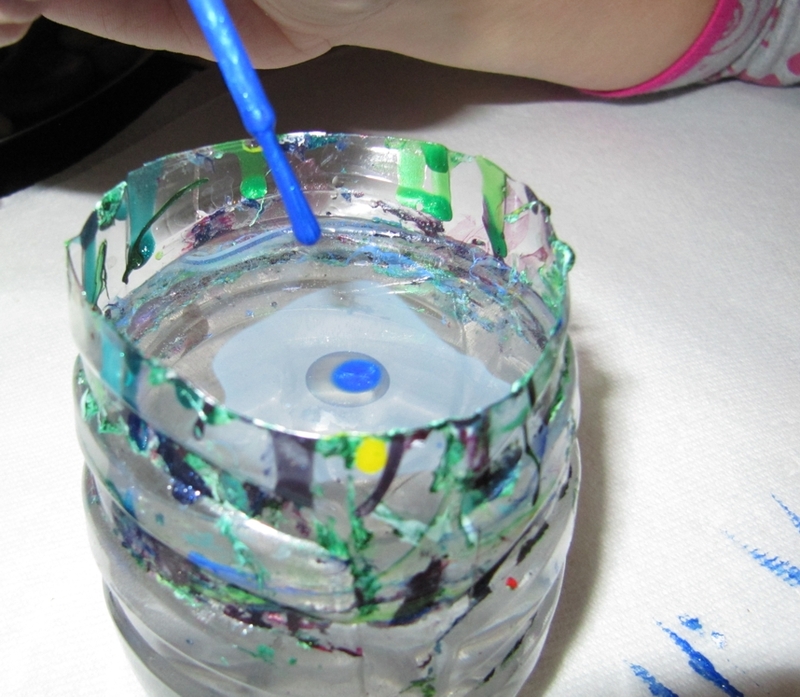 Then, using a toothpick, create a design in the water. Then, simply dunk your finger in the water. Remember that your nail will pick up the exact pattern of wherever your nail makes contact with the design. 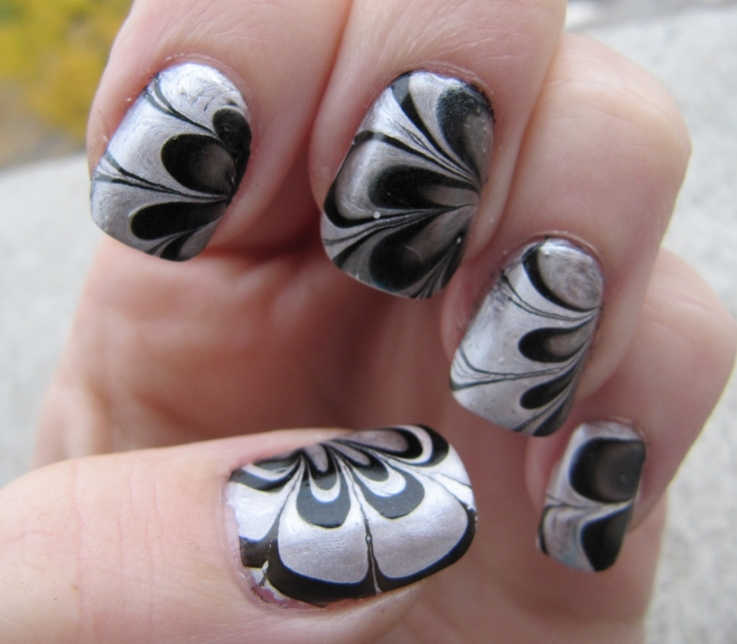 If you are going for a specific design or pattern, you will likely only be able to do one nail at a time. Repeat for all nails, so your hand looks something like this. Also, don’t forget, that while your nail is submerged, use your toothpick to grab the extra “skin” of polish on the water before pulling out your finger. Give them a few minutes to let them dry before removing the tape. 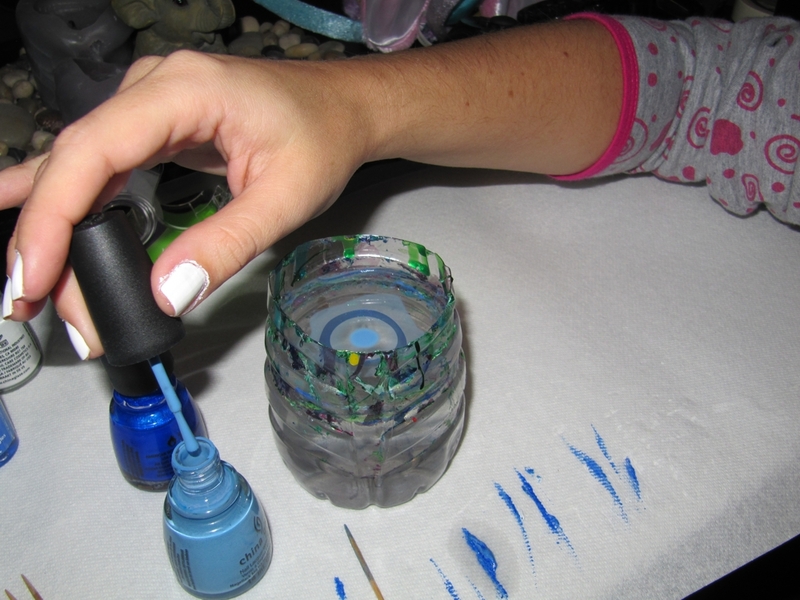 Then simply clean up your fingers and skin with a q-tip soaked in nail polish remover. 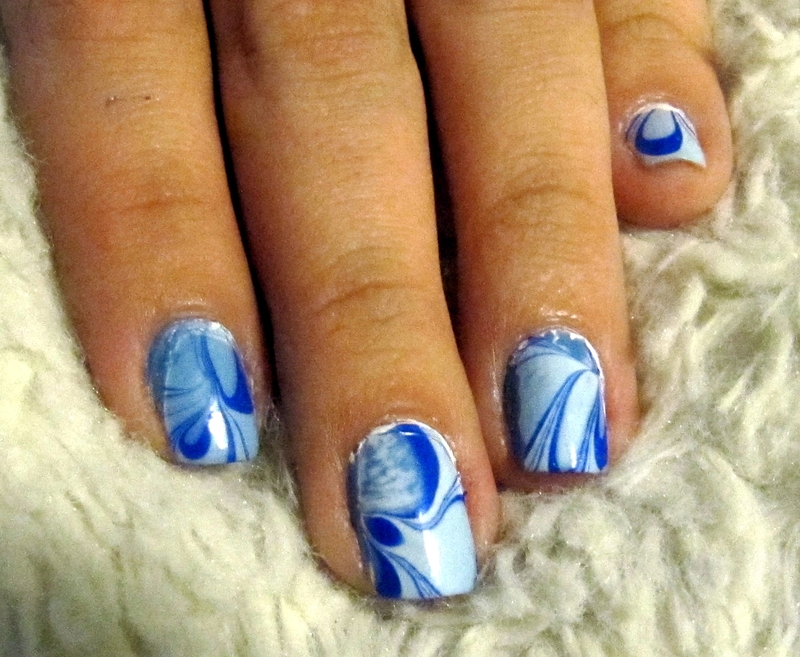 Do you guys like how this nail marble turned out? 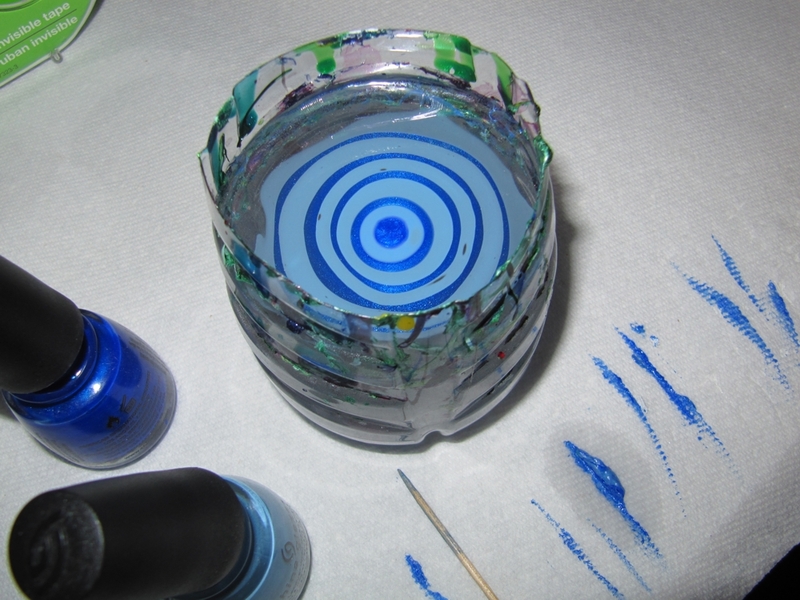 Do you have a favourite colour combination for water marbling or something new you would like to see? 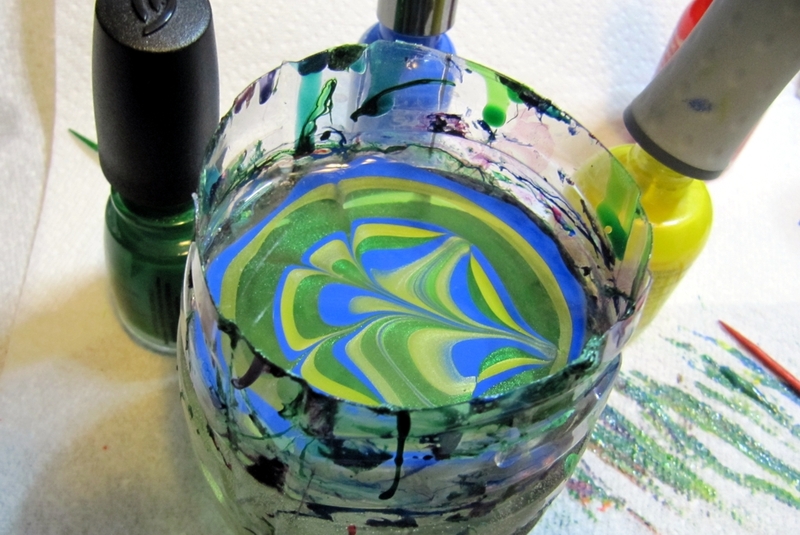 If you are completely new to marbling I have a more complete photo tutorial here. 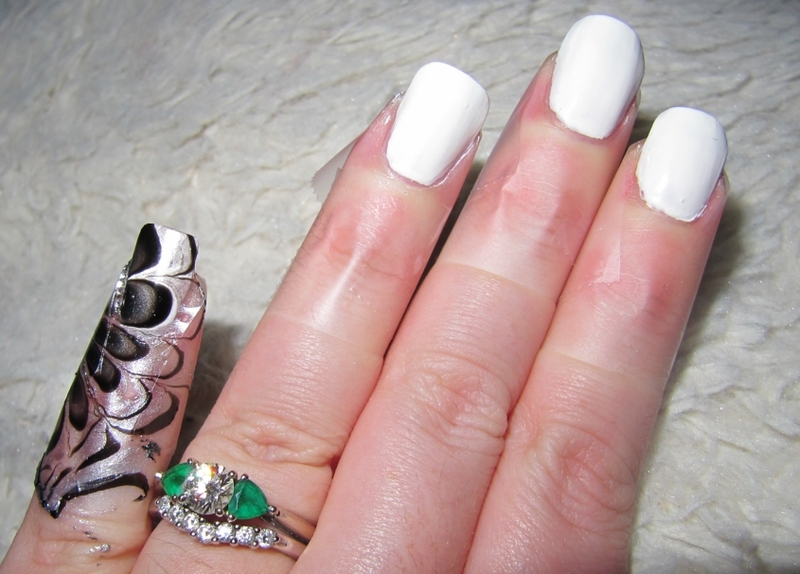 She started out by painting a white base using China Glaze’s White on White Nail Polish. Next step would be taping around your nails with scotch tape. 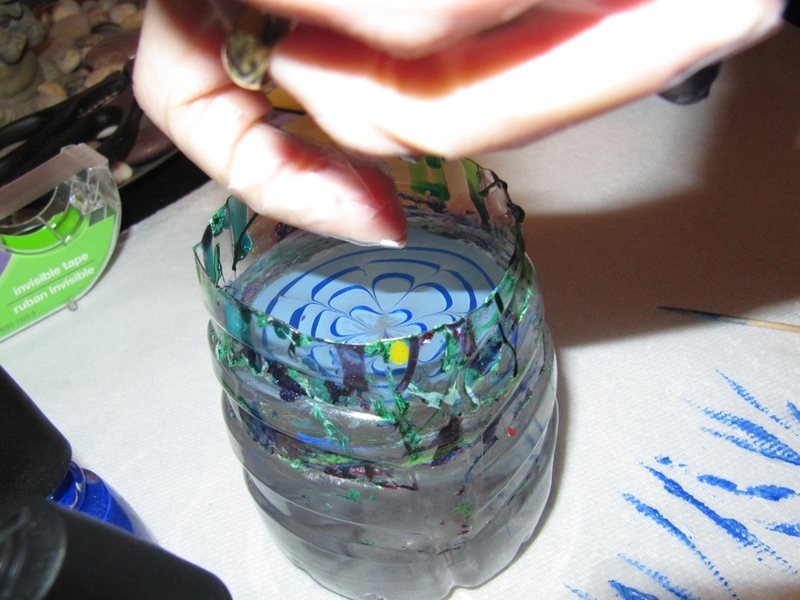 Once ready, you start dropping the polishes into the water, alternating colours and creating rings. 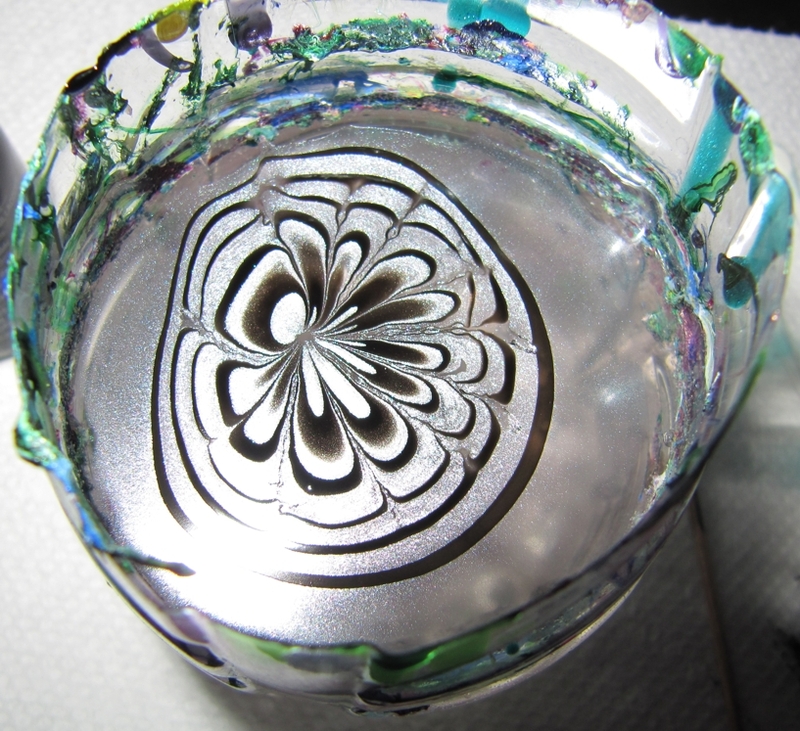 Once you have a design you are happy with, get ready to dunk your finger in. If you want, feel free to dunk more than one finger at once. 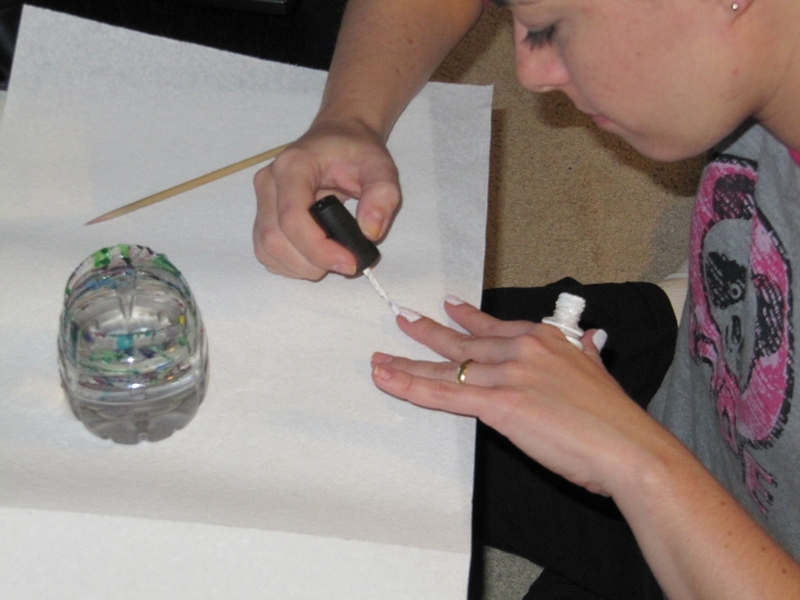 Repeat for all your fingers, remove the tape once dry and enjoy the finished look! I thought she really did a fantastic job for her first try and she only had to redo one finger! (Much better than my first attempt!) She is definitely now an expert and can teach all of her friends back home in Brazil. 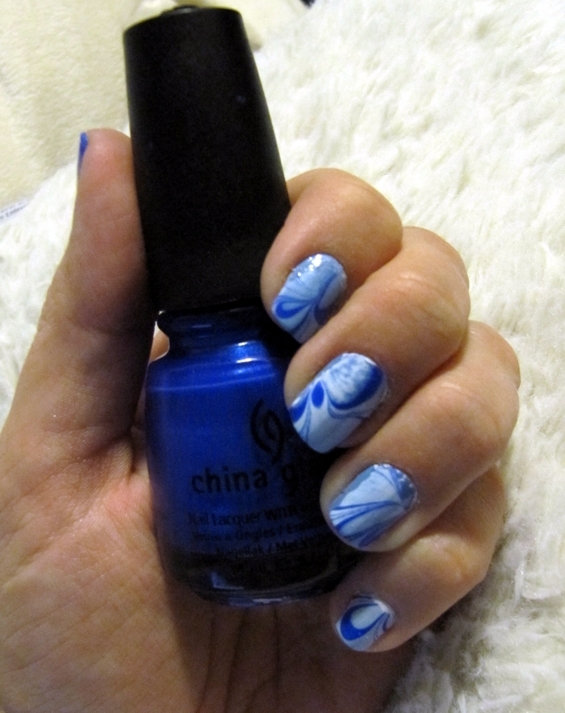 So with the record breaking beautiful weather we had been having this March, I was inspired to do a Spring Time Nail Marble. I went with bright colours this time to try to capture all the sunshine we’d been receiving here in Ottawa. 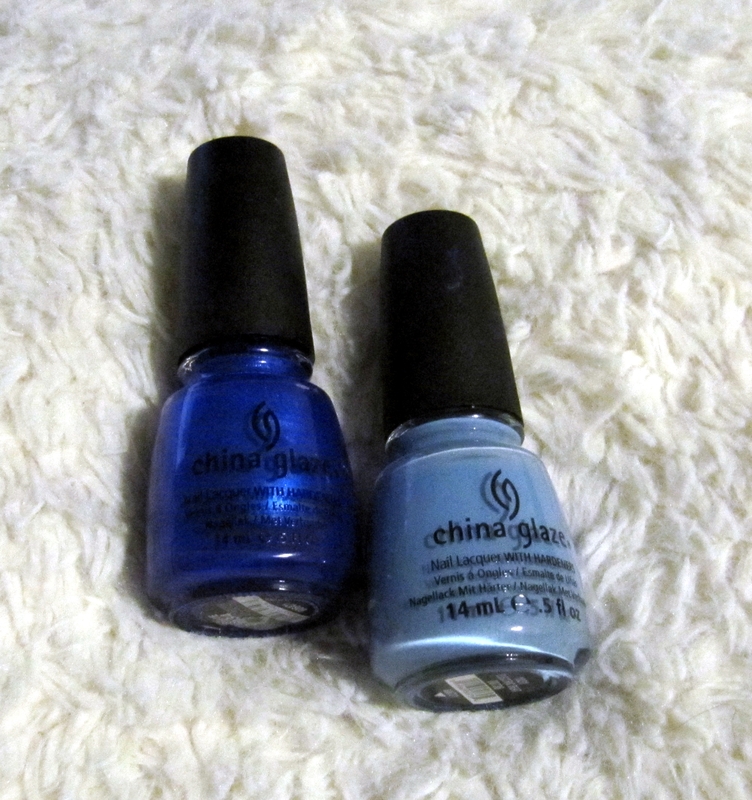 To start out, I used a basecoat to prevent the yellow from staining my nails. I then painted all my nails with two coats of Orly’s Hook Up Nail Polish. How Do You Like Your Crackle? Looking for a way to spice up your Crackle? How about instead of purchasing an endless range of colours…you try changing the way you use them? Thanks to an ad in an Avon catalogue, I got the idea of creating a multi coloured nail look underneath the crackle nail polish. Have You Picked Your Colour Scheme? That seems crazy to me. That people inquire about colours before anything else. It’s funny, because we never even picked colours at all. But with it being brought up so early in conversation, it seems like it must be important…I guess we missed something with planning our wedding. I guess I thought people would be more interested in the location, the bridal party, the vows. Something?! Today I felt like nail marbling and although I wasn’t trying to create what I will fondly refer to here on out as “Peppermint Nails” I sort of stumbled upon this look by accident. 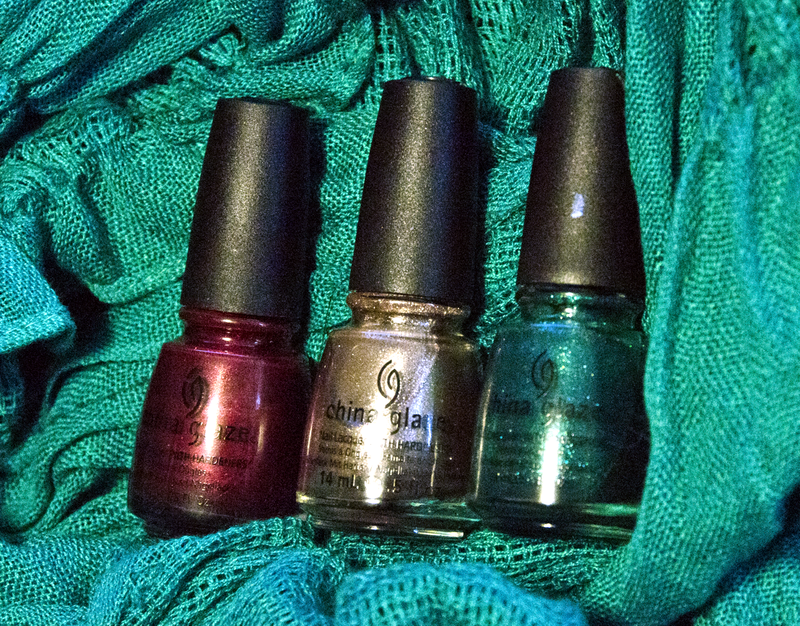 Because “Heart of Africa” and “Watermelon Rind” nail polishes work so nice in the water, I decided I’d put them together and because I just picked up “Swing Baby” I wanted to include it. As soon as I saw the first nail come out, I couldn’t think about anything other than “that looks like a candy cane – perfect!” So here we are. To note: I did not use the white base coat on my nails. This wasn’t because I thought it would look better, but simply out of sheer laziness. It was already late and I wanted to save a step. I have no doubt that the white base coat would make these Peppermint Nails really pop. I brought my nail kit and the four of us girls marbled our nails. Even though this technique is all over the internet and I mean ALL OVER, there are still people that haven’t heard of it or seen it before. 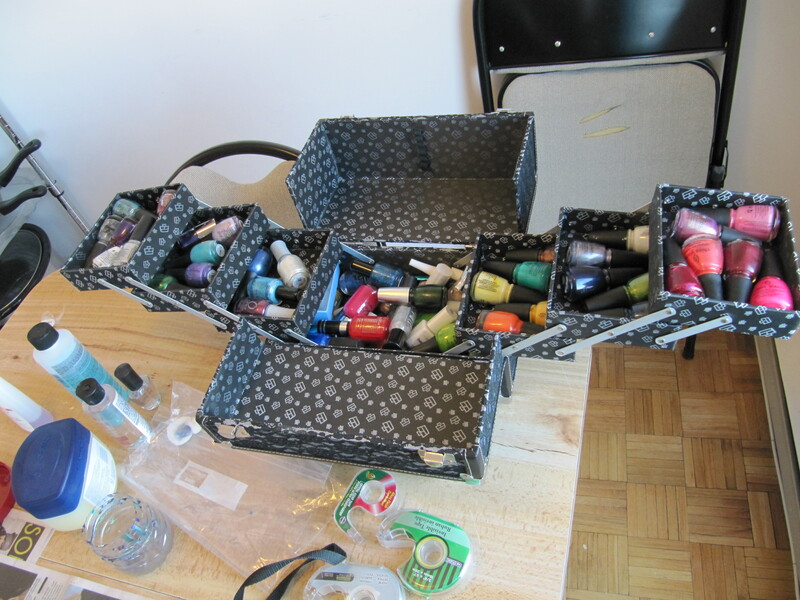 So needless to say the four of us girls had a lot of fun, made a mess and ended up with beautiful nails in the process. 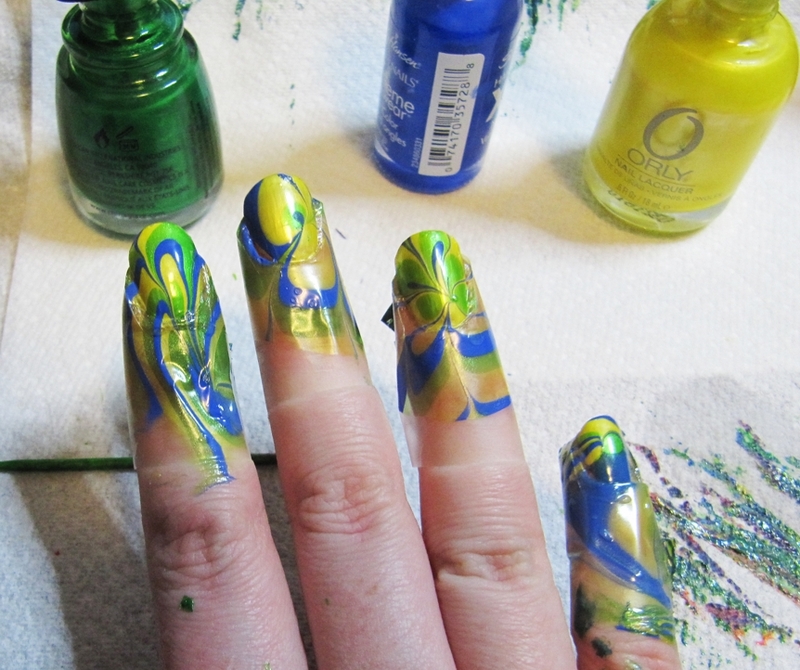 Let me show you how to venture into the world of nail marbling.